Vale Golf Breaks in South Wales. We offer golfers great value golf breaks specifically in and around Cardiff and The Vale of Glamorgan. Ideal for individuals, couples or larger groups; golf packages can be tailor-made to meet your exact requirements and budget. With over 20 years experience in arranging golf breaks and holidays and 25 years in the hospitality industry you can rest assured you are in safe hands. We pledge to always offer you the best price from the outset, be efficient, professional and offer a friendly personal service. I consent to Vale Golf Breaks storing and using my information in accordance with current GDPR regulations. You can request removal of your details that we hold at any time. We enjoyed hosting the Ryder Cup in 2010. Wales is the perfect setting for an exciting golf break. 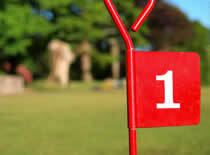 Challenging links and championship parkland courses with breathtaking backdrops provide a real test of your golf. We’re closer than you think! Just a short drive from the M4 and Cardiff International Airport, the Vale is very easy to reach. The Vale has plenty of rustic inns and award-winning restaurants to help you unwind after a great day’s golf. 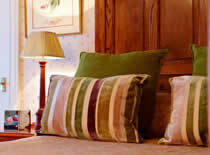 From four star luxury, to cosy guesthouse accommodation or self catering, there’s something to suit every taste.